Read more about How much help will I receive through the home selling process? Read more about What do I need to do to sell my house through your program? Read more about How do showings work with your flat fee MLS service? 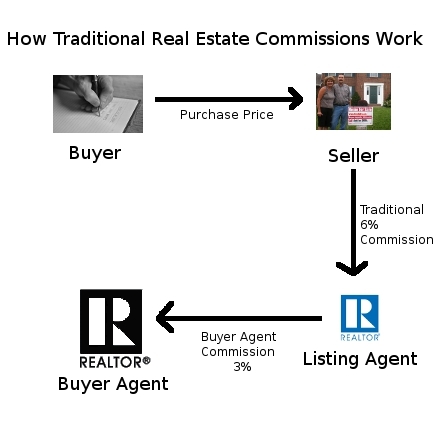 In a traditional real estate transaction, you would pay an average of 6% commission at closing to your agent. For a $200,000 home, that's $12,000 of your equity! Read more about How much will I save with your flat fee MLS service? Read more about Can I change my MLS listing? Read more about Am I required to be available to show or be at the property I'm selling? Yes, our licensee can answer your basic real estate questions about your listing or transaction. Read more about Will you answer my questions about how to sell my home? Read more about Is there a way I can keep my phone number private during the home selling process? How is the home sales process different with BuySelf real estate services? What will I as home seller need to do when selling with BuySelf flat fee home sales? Read more about How is house selling different with BuySelf?